Arossim beach yacht charter in Goa. Arossim beach lies to the north of Utorda beach. It is a large sandy beach with a rivulet running parallel to the shoreline. The beach has plenty of palm groves that offer ample shade. Arossim honeymoon holidays are well established favorite for couples seeking beach based holiday, charming Goa countryside with lush fields, rice paddies and palm groves. 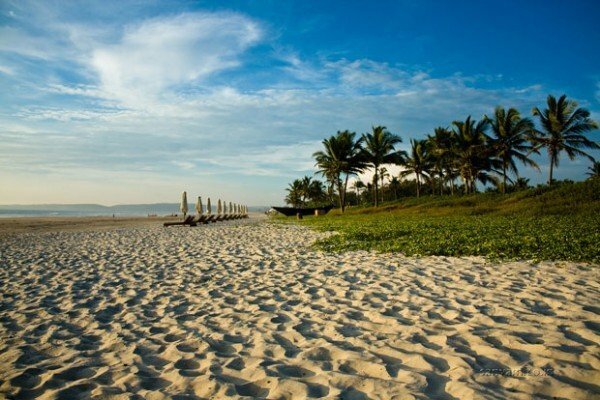 The beach is a heaven not only for the party and leisure seekers but also for the adventure seekers who look forward to some water adventure and sport activities along the beaches of Goa.